Free Blogger Template and Premium Blogspot Template XML. Responsive Blogger Templates 2019, Template SEO Friendly, Template Redesign, Template Free Download, Best Collection SEO Template Free. Blogger Templates - Who doesn't know the templates created by Arlina Design, one of which is the famous Arlina Currently. Some bloggers are very fond of Arilna Design's templates. The Arlina Currently feature is equally competitive with Arlina templates and templates in general, this time the template is a little different because the Arlina Currently Template is the result of a redesign of GalihDesign.com, some views are also better and certainly responsive! Intrigued by the features owned by Atlina Currently Responsive Template, the following is a list of features that Arlina currently has. That is the feature that is owned by Arlina Current Responsive Blogger Template, for more details, the following demo and download link is free! Credit footer has been removed / without copyright maker! Here are some features in our template. Responsive Templates optimized for your blog comfortable with all devices. 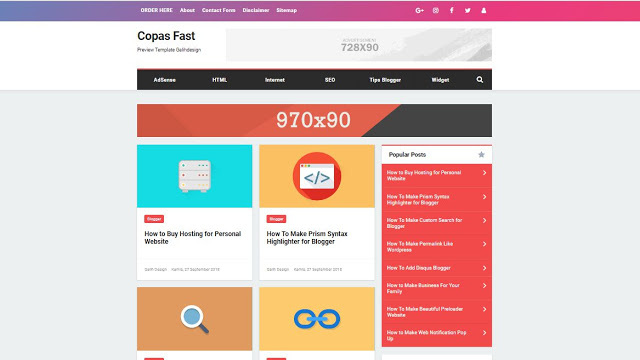 SEO Ready templates built with the best SEO practice in mind. Easily place your Adsense ads to increase your revenue quickly. We provide support updates for premium template users. Copyright © 2019 Template - All Right Reserved.